A combination of ingredients including cereals, meat, vitamins, vegetables and minerals make Go-Cat a 100% complete and a balanced meal. 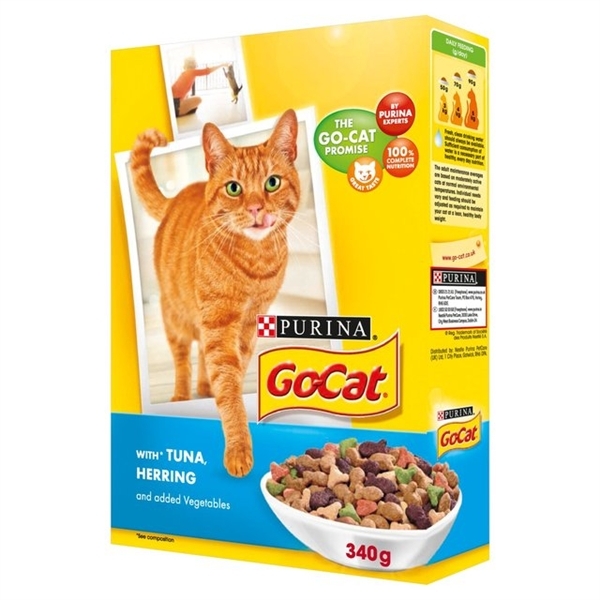 Go-Cat is all your cat needs nutritionally to help keep him healthy and happy. Your cats unique personality brings something very special to your home, adding joy to your lives. That is why Go-Cat provides him with the food he loves and needs, so he can continue to surprise and delight you every day. Tasty and 100% complete nutrition made with selected quality ingredients. Formulated for adult cats of 12 months or older. Always provide your cat with fresh drinking water when serving dry cat food.